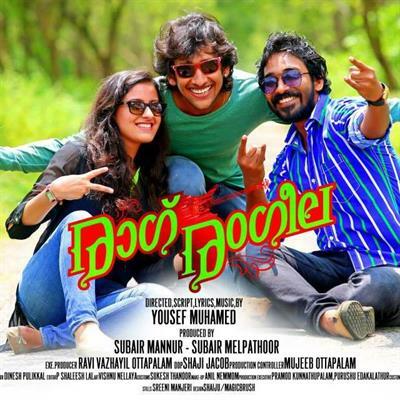 Raag Rangeela malayalam movie written and directed by debutant Yousef Muhamed featuring Aadithyan, Druvan, Hanna Jayanth in lead is getting ready for release. The movie is being produced by Subair Mannur and Subair Melapathur under the banner Minara International Films. Devan, Sandeep Khan, Saaju Kodiyan, Vinod Kovoor, Hari Sree Martin, Hari Sree Yousef and Prakash Payyanakkal, Manga Mahesh and Kulapulli Leela have given life to other prominent characters in the movie. After a short period, a musical love story is getting shaped to entertain the moviegoers. Helmed by Yousef Muhammed, the movie titled 'Raag Rangeela' has a long star cast including prominent actors from the malayalam film industry. 'Doothavan' fame Adhithya, Druvan and Hanna Jayanth will play lead roles in this musical entertainer. Devan, Sandeep Khan, Saaju Kodiyan, Vinod Kovoor, Hari Sree Martin, Hari Sree Yousef and Prakash Payyanakkal, Manga Mahesh and Kulapulli Leela have given life to other prominent characters in the movie. The movie is being produced by Subair Mannur and Subair Melapathur under the banner Minara International Films. Along with director, Yousef has extended his hands by scripting and setting the tunes for his musical delight. Gujarati girl Henna Jayanth who played short roles in Munnariyippu and Alice: A True Story will play a full length role in 'Raag Rangeela'. Both her previous ventures gave an opportunity to understand the medium of cinema. Henna, born and brought up in Kochi is a true music lover with her mother being a good singer. In the movie 'Raag Rangeela', Henna plays the role of a fan of a music director having a motive of her own. Her thirst to learn cinema and the realization of her inner strengths granted her a new episode in life. She has modeled for a well known brand and also was a part of the Happy Music video. Being a self-taught Western and Bollywood dancer, Henna is an entrepreneur having her own HR firm in Kozhikode. Palakkad and Ootty was the prime shooting locations. 'Raag Rangeela' has six songs with Madhu Balakrishnan, Jassie Gift, Afsal, Jyothna, Gayathri and Vija Lal lending their voices. The camera is being handled by Shaji Jacob. After the post production works, the movie will reach theatres very soon. Yousef Muhamed and his team have tried to big perfection in the making of the movie which could deliver good result in the box office.